Port Douglas is a quintessential seaside village, an ideal haven for switching off and forgetting the constraints of metropolitan life. However just because it’s beach side, it doesn’t mean fashion gets left behind. Oh no. Not one little bit, my bedazzled-caftan-wearing friends. Chic resort wear, on trend Australian and European labels, exquisite handcrafted jewellery and the mother of all wide brimmed sun hats (to go with those high-waisted retro bikinis) – this is tropical lifestyle living at it’s very best. In the few hundred meters on the main street, you can discover a shopping utopia with everything from recognised brands, high street clothing and unique homewares through to jewellery that can be customised with an image of the moon on your exact date of birth. Port Douglas retail therapy has something for everyone, whatever your budget and style. Your credit card can thank us later (or not…). Rose & Boy is definitely the go-to when it comes to high street shopping in Port Douglas. Beginning from a humble background of two sisters’ love for fashion and business, Rose & Boy offers the freshest trends for both men and women. With brands such as Auguste The Label, Talulah, Scotch & Soda and Love Stories, you know to expect nothing less than the best eye-catching threads. Ahoy Trader, the brainchild of artist Jai Vasicek, is a cornucopia of stylish, earthy bohemian style designed to evoke the wanderlust vibe in the most seasoned of homebodies. Striking painted tiles and ceramic crosses are popular, as are the natural cane furniture, designer scented candles, leather-bound travel diaries and dining ceramics. Grab a coffee, brewed from the striking turquoise espresso machine at Sparrow Espresso next door, then prepare to drop some serious coin in this covetable space. Freshwater pearls, precious stones, stone carvings, natural stone bead strands, Tahitian pearls and more - Wicked Willies is the perfect place to pick up a gift for your loves ones (or yourself!). Having been part of the Port Douglas shopping landscape for more than 20 years, this is a jewellery store that embodies tropical luxe. Aloha Lucy is dangerous. Dangerous for anyone who hides their credit card in the freezer (yes, you…) telling themselves it can only be used in emergencies. 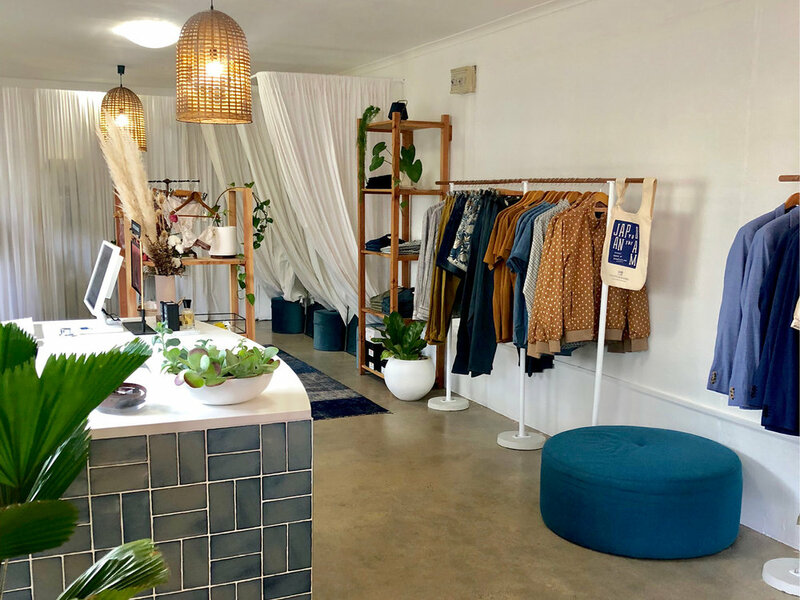 With its prime location on Macrossan Street and its stunning curation of macramé swings, boho dresses and whitewashed tropical design, Aloha Lucy is simply perfect for wandering souls and gypsy hearts. You can’t possibly leave Port Douglas without popping into With Sugar, a gift shop so full to brimming with kitschy delights you’ll be hard pressed deciding what’s a gift for others and what’s a treat for yourself. From eco water bottles and coffee cups through to baby gifts, palm tree-motif homewares, cheeky greeting cards, locally made beeswax candles and board games, there’s too much fun for one afternoon in here. If you’re looking for a little post retail therapy fun, why not check out the Best Food & Drink in Port Douglas. With so many things to see and do up here, you’ll be changing that return flight date before you know it!